The thought of taking a test — whether for scholastic or medical purposes — is often a scary prospect. But when it comes to hepatitis C, testing is your friend, not your enemy. Hepatitis C is a notoriously stealthy disease, often causing few — if any — symptoms even as the infection damages your liver. Laboratory testing provides a window into this furtive disease. Hepatitis C diagnosis, disease monitoring and response to treatment all require different types of lab tests. As with many other diseases, your doctor can’t tell whether you have hepatitis C based on a physical exam alone. The first step in diagnosing hepatitis C is usually a screening test. This test detects hepatitis C antibodies — specialized proteins your immune system produces to fight the infection. Your doctor can order a hepatitis C screening test for you, or you can buy a home-collection kit online or from your local pharmacy. With home kits, you collect a blood sample after pricking your finger and send it to the testing lab. Home-collection hepatitis screening is anonymous. 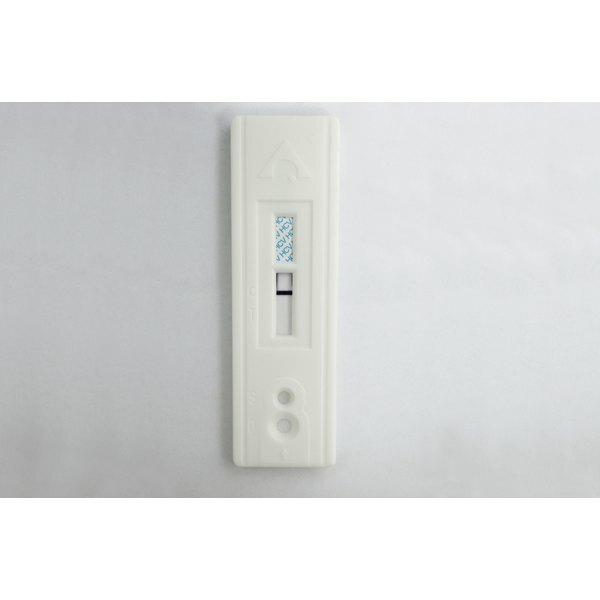 The kit comes with an identification number that enables you to access your test results by phone and speak to a counselor about next steps. It’s important to understand that a positive antibody screening test does not necessarily mean you are currently infected with the hepatitis C virus, or HCV. Your immune system has memory. This means that if you’ve ever been infected with HCV, your screening test will be positive — even if the virus is no longer in your body. The Centers for Disease Control and Prevention reports that 15 to 25 percent of people infected with HCV clear the infection without treatment. So to determine whether you are currently infected with HCV, another blood test that checks for the virus itself is needed. If this test — called HCV RNA or HCV PCR — shows the hepatitis C virus is in your blood, then you are currently infected. There are six different strains, or genotypes, of the hepatitis C virus, or HCV. More than 75 percent of hepatitis C infections in the U.S. are caused by HCV genotype 1, according to a January 2015 report published in the journal Hepatology. Genotypes 2 and 3 account for another 23 percent of HCV infections, while genotypes 4, 5 and 6 are uncommon in the U.S. Although HCV genotype doesn’t influence how the infection affects you, the strains do respond differently to antiviral medications. So it’s important to know what genotype you have to choose the best treatment strategy for you. HCV viral-load testing, which measures the number of viruses in your blood, is also important if you’re preparing for hepatitis C treatment. Viral loads are checked before and during antiviral treatment to determine whether the medications are working. Your doctor may order other blood tests — such as red and white blood cell counts and protein and liver enzyme levels — periodically to monitor your general health and liver function. You should also be tested for hepatitis C if your mother was infected with the virus when you were born. People living with HIV or who have persistently elevated liver enzyme levels should also be screened for hepatitis C. While the thought of being diagnosed with hepatitis C is understandably scary, knowing you have the virus enables you to take the appropriate steps to protect your long-term health. How Does a Person Contract Hepatitis C?